I had to return a product to Sephora and I stumbled upon Violent Lips lip tattoos in the $20 and under station, right before checkout. I was intrigued. 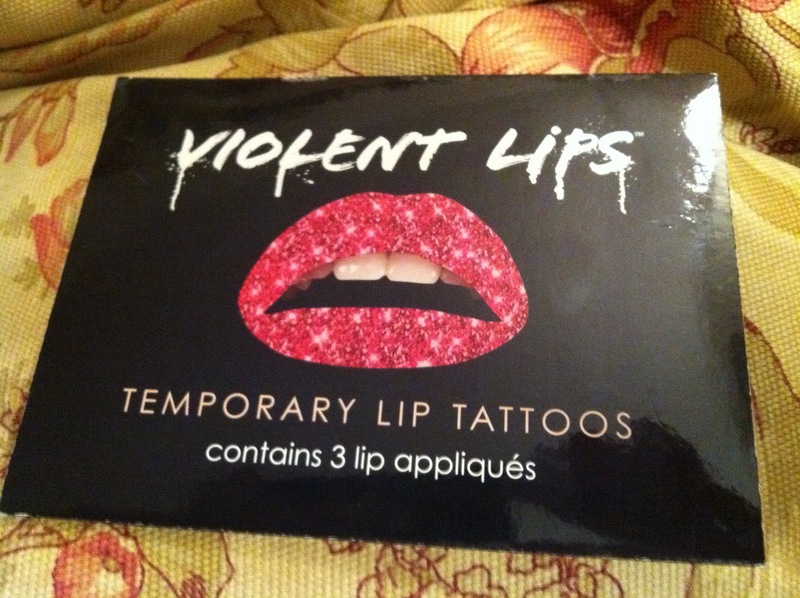 I'm well aware of the adhesive strips for your nails, but what in the Sam Hill is a lip tattoo? How does that even work? So I bought a pack. Three come together and you can pick anything from sparkly red to pink leopard print. I opted for the red because hey, maybe they'd work and maybe I'd start using them for fancy nights out. Nobody has lips like this. Except Bozo. Here's the deal: you punch them out of their paper holder and then have to cut them to your lips. They recommend you make an "O" face. (Not my terms -- theirs.) You cut them to the natural curve of your lips, which, I found to be quite difficult. They are formed similar to those wax lips you used to get as a kid -- nowhere near real lips. So you cut and cut and cut some more, and then you have to adhere them. So again, make the "O" face, remove the plastic and stick the sticky side to your lip. Get a cotton swab wet and press against the paper backing for 60 seconds, then peel away. At this point, the tattoo should be placed perfectly, however, I had issues. It was still too long, even after I cut it, so it clumped up in certain spots. You can smooth it out with the wet cotton swab, but it still makes it too long at the edges, so carefully cut the loose ends off without requiring an unplanned trip to the ER. I think with practice, it makes perfect. They look pretty, however felt weird. I looked like one of those women who got too many collagen injections in her lips, making them look kind of haggard and deflated. All in all, they'd be fun for a Halloween or costume party, but go with standard lipstick for a big event or a night out on the town. Getting them off proved to be a lesson in trial and error, given they say you need baby or mineral oil, neither of which I have on hand. There was a lot of pain and rubbing involved... get your minds out of the gutter. Here are some photos where I played with some photo effects! MY LIPS ARE COMING OFF! PSYCH! Kind of cool, kind of creepy... perf for Halloween? top lip from touching the bottom while it dried. 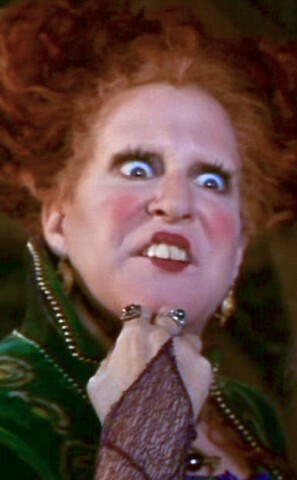 Once you peel them off, you can do the Winifred Sanderson lips!